Summer weather is already coming to Austin, TX, and that means it’s time to start storing all of your winter dry-cleaning items. As your Eco-friendly cleaner, we feel obliged to give you some guidelines to ensure your storing efforts are effective and safe. 1. Bring your clothes to Eco-Clean before storage. This is probably the most important step. Cleaning your clothes before storing them is the best way to protect your winter-wear over the summer. Insects are less likely to be attracted to clean items, and mold is less likely to develop. 2. Use fabric storage containers. Hanging up your garments or putting them in cardboard boxes just won’t give them the same security as a fabric storage container. They work just as well as plastic containers, but are more eco-friendly! It may seem like a nuisance to invest in several storage containers, but it is money well spent. 3. Clean, Cool, Dark, and Dry. Keep your containers in an environment that meets this description, and you will be storing your winter wardrobe in the smartest way possible. Mothballs are widely used to repel insects from sweaters and other items, but they are made of a toxic chemical called naphthalene and dangerous to pets and children. If you follow the steps above, mothballs should not be necessary! If you still want to use something extra to protect your sweaters, however, we recommend storing them with a cedar block. We hope these tips help you in your storing endeavors, and do not hesitate to contact us via email or phone for any other storing-related questions! Carpool. The Guardian reports that 68 percent of a music festival’s carbon footprint comes from transporting people to and from the festival. Go green by sharing a ride with your friends. Don’t know anyone going to SXSW? Post a rideshare advertisement on Craigslist or Facebook and watch your car fill up with new friends. Bike. To further reduce your carbon footprint, bring your own bicycle or rent one through SXSW’s collaboration with Austin B-cycle. Thirty-minute and under rides are complimentary and unlimited for 24 hours once activated by SXSW badgeholders with a voucher. H20. Stay hydrated, as this article from Dish Info recommends, but party on without the plastic bottle waste. Instead, refill a Camelbak or large reusable water bottle. Keep track of your water container by writing your name and number on it, or by clipping it to your belt with a carabiner. Pack light. Before you pack for the event, consider if you will remember everything in your bag when it is time to leave. If not, take something out. You are much less likely to leave something for the landfill in Austin if you pack less. Recycle. We get it. The spicy chocolate cake at that awesome food truck was mega-yum. Just make sure you choose food that is served in environmentally friendly containers, such as paper and cardboard. According to Earth 911, the soiled part of your container can be thrown away, and the rest can be recycled or composted. Friday, March 13 at 11 p.m. Listen to Al Gore presenting “The Climate Crisis: Challenge & Opportunity” in Exhibit Hall 5 at the Austin Convention Center. Friday, March 13 at 3:30 p.m. Attend “Exploring the Future of Sustainable Fashion” in JW Marriott Room 205 on 110 E. 2nd St.
Sunday, March 15 at 3:30 p.m. Attend “Changing the World Through Food: A Love Story” in Driskill Hotel Driskill Ballroom on 604 Brazos St.
Monday, March 16 at 9:30 a.m. Attend “How Agile Approaches Crack Urban Challenges” in JW Marriott Room 208 on 110 E. 2nd St.
Monday, March 16 at 6:15 p.m. Watch “Bikes vs Cars” at Vimeo Theater on 201 Trinity St.
Tuesday, March 17 at 6 p.m. (pre-party) Attend the Interactive Innovation Awards with comedian James Adomian at Hilton Downtown Austin, 6th floor. Wednesday, March 18 at 1:45 p.m. Watch the documentary feature “Landfill Harmonic” at Alamo Ritz on 320 E 6th St.
Thursday, March 19 at 11 p.m. Listen to Zionstereo at the Speakeasy on 412 Congress Ave. The band plants a tree for every album sold. Want to inspire your friends and bring your eco-friendly conscience home? Post a pic on instagram of you recycling or biking during the festival. Start a conversation thread on Facebook or Twitter about best practices for reducing the carbon footprint of music festivals worldwide. Spark the fire for global change, one post or tweet at a time. Brittany Wren works in higher education. She’s all about backpacking, traveling, poetry and good coffee. On the weekend, you’re likely to find her with her nose in a book or working on (a seemingly endless supply of) house projects in her 100-year-old home. Based in Phoenix, Arizona, SocialMonsters is a digital PR agency that takes on the task of sorting through ideas, finding sources and managing writers to deliver a complete story tailored to your audience. Each SocialMonsters article includes ideation, research, writing, editing, search and social optimization. Learn more at www.socialmonsters.org. Armadillo Award Season is Here! It’s that time of the year again – the Austin Independent Business Alliance is taking nominations for their annual Armadillos Awards from now until March 20th. Make sure to show your appreciation for your favorite local businesses via the link below! This week, we are sharing a blog post from our friends at Modernize.com about how to make your home energy efficient. Check it out! Part of what makes our homes beautiful is the natural scenery surrounding them. The best part of reducing the carbon footprint of your home is not just that it saves money, but also that it contributes to preserving the vegetation and wildlife of your favorite nearby parks and scenic views. Reducing your home’s environmental impact doesn’t require an expensive or complex renovation. Several quick and inexpensive steps can make significant changes in your home energy use. The first step in making your home more energy efficient is understanding how you are using and where you are losing energy. Some utility companies offer free energy audits, in which they do a complete analysis of your energy use as well as testing where your home is leaking heat or air-conditioning. You can also do your own energy audit using online checklists. Whether you’re relaxing on your patio on a nice summer night or returning home from work in the dark of winter, lighting the area around your home can be both aesthetically appealing and increase your feeling of safety and security. Solar-powered lights soak up the sun during the day to light the exterior of your house at night. Older model toilets use more water than necessary. Drop a brick or rock in the tank to reduce the amount of water used per flush. Low-flow or high-efficiency shower heads use adjustable jets to give the same massage feel of traditional shower heads with far less water. Insulated blackout curtains reduce the amount of heat your windows lose in winter and the amount the sun heats your home interior in summer. Even better, they block light when you want to sleep late on weekend mornings. Especially in older homes, you can reduce energy leakage due to gaps under the door with a door snake consisting of a piece of foam insulation wrapped in fabric. Big windows brighten your house and let you enjoy local scenery, but they can also leak energy. Especially if you have older, less insulated windows, adding an inexpensive self-adhesive film over your window can reduce energy costs. Hold you had in from of an electrical outlet installed on an exterior wall and you will feel a draft. Invest a few dollars and under ten minutes to install foam outlet insulation behind your outlet covers. Add plastic outlet plug covers to unused outlets to block even more drafts. This post was written by Jane Blanchard. For more information, visit Modernize.com. Pure Life Organic Cleaning Opening! Our friends over at Pure Life Organic Cleaning have officially launched and are eager to find environmentally conscious customers in the Austin area. We know that our customers strive to be eco-friendly by cleaning with us, so we would like to recommend Pure Life for residential and commercial cleaning needs. Pure Life Organic Cleaning uses custom blended formulas with 100% USDA certified organic ingredients and technologically advanced tools to clean naturally and efficiently. As an introductory special, they are offering new customers a 10% discount off regularly scheduled cleaning services for the first year, and if you mention that you heard about them through EcoClean, they will give you an even more special offer! We hope you will join us in building the eco-friendly small business community in Austin by supporting Pure Life Organic Cleaning! “EcoClean is by far the best in Austin! I have to get a lot of my wardrobe professionally cleaned and I’ve always been more than happy with the results. Silk, material with embellishments, purses, dresses, work attire…everything has come back perfect. Other cleaners have pressed my clothes wrong, colours have bleed, changed the texture, etc. I haven’t had a single problem since going to EcoClean. It’s the only place I fully trust!” – Diana W.
“I’m SO impressed with their culture, their process and their product. Mostly I’m impressed at how much they VALUE me and how they treat me. I can’t imagine ever going anywhere else. I’d give them a 6th star if I could, absolutely best place for service and clothes in Austin.” – Damion L.
“I am a huge fan of EcoClean, and it’s the only cleaners I’ve used in Austin in 4 years. When there is an extra tough spot, they always point it out and do their very best, often making it WAY better or getting rid of it altogether. On the one occasion when a shirt couldn’t be located upon pickup, they called me just a few hours later to say they’d found it and were holding it for me. The cost is worth the environmentally friendly process- most cleaners use highly toxic materials. Aside from being pleased with the service, I’m rating a 5 because I’ve noticed that EcoClean regularly gives to various non-profit events I’ve attended. Their coupons are part of silent auction packages or I see their name as sponsors in other ways. I appreciate their community involvement and love supporting their business!” – Chloe S.
“This is the best laundry and dry cleaner in town — and I say this with the authority of someone having lived in Austin since 1979. They are very meticulous with my clothing and even will call me with questions. They are also honest. They take care to ensure that the process they use has a minimal impact on the environment, and even have a system that allows you to do without those plastic bags. The staff are helpful and friendly — and some of them are even great musicians.” – Brad R.
“I have been using Ecoclean for about six months now and I am in love. Finally my clothes don’t have that funky “dry clean smell” that I had become so accustomed to. Also the chemicals they use at most other places would make me break out and at Ecoclean I haven’t had that problem. 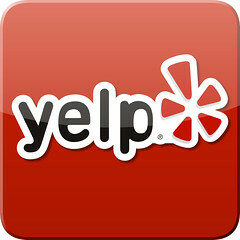 I highly recommend coming here if you know what I am talking about.” – Chris R.
EcoClean S. Lamar Now Open on Sundays! Can’t find a dry-cleaner that’s open on Sundays in Austin, TX? We’re pleased to announce that our South Lamar location will now be open from 12-5 PM starting this Sunday, January 17th. Orders dropped off on Sunday will be ready for pick up the following Tuesday at 7 am. We look forward to seeing you this weekend! For the fourth year in a row, our PROPS partner this holiday season is Save Our Springs Alliance! Pick up your order on Wednesdays this month and support one of the best organized environmental non-profits in Austin! The Save Our Springs Alliance sprung to life in 1990 as a loose coalition of citizens fighting a massive development proposal for the Barton Creek watershed. On June 7, 1990, more than 1000 citizens signed up to speak to Austin city council in opposition to the planned 4,000-acre Barton Creek PUD. After an all-night meeting, council unanimously rejected the PUD, and a movement began to strengthen the 1986 Comprehensive Watersheds ordinance under the acronym SOS: “Save Our Springs”. Organized in 1992 as the Save Our Springs Coalition, the group wrote and petitioned for the Save Our Springs Ordinance to protect the quality of water coming off of development in the fragile Barton Springs watershed. With the voter approval of the SOS Ordinance, developers went on the attack at the court house and the Texas Capitol. Later, the group incorporated as the Save Our Springs Legal Defense Fund in 1993 to defend developers’ attacks on the SOS Ordinance. Expanding its scope to include building awareness and alliances throughout the Austin area, the group finally became the Save Our Springs Alliance in 1997. The SOS Alliance routinely works with local conservation groups to advocate for the protection of Barton Springs and the Edwards Aquifer.